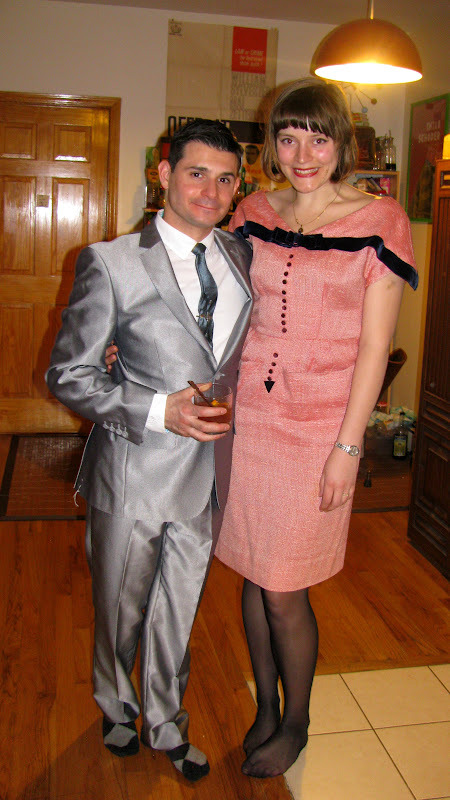 My friends hosted a party on Sunday for the premiere episode of Season 5's Mad Men and, of course, I had to be there! Everyone dressed appropriately and the food and drinks were totally era-perfect from old-fashioned cocktails to a pineapple upside down cake. I even baked a carrot cake! 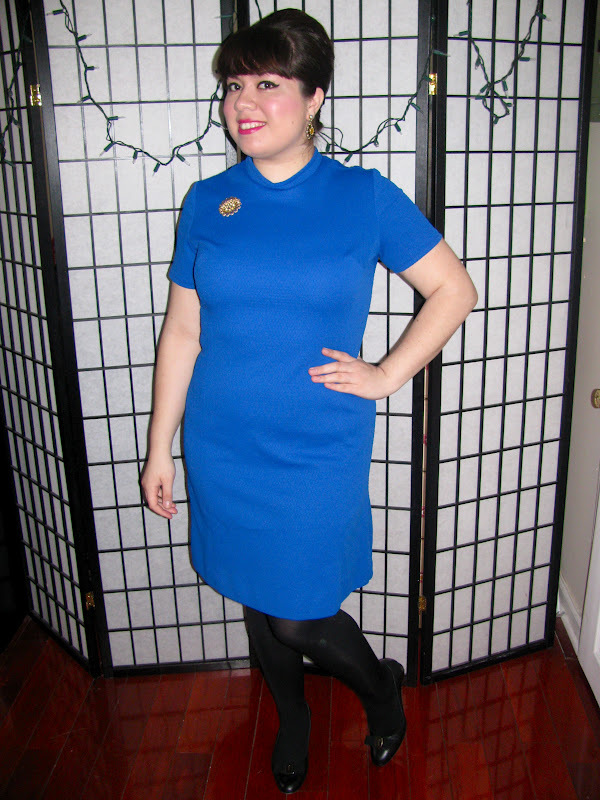 I wore my sixties flight attendant dress for the occasion. I originally had a more Betty-esque dress in mind, but was glad to channel a bit of Joan. Crazy Mad Men masks..say cheese!